A consummate portrait of a demagogue. The political insights remain chilling (and completely relevant) almost 70 years later. 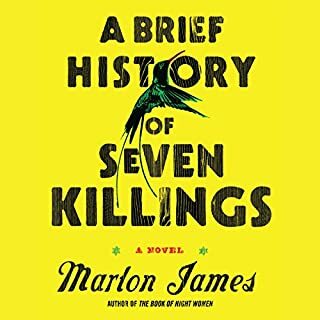 Some of the fictional devices are creaky, and the last quarter of the book a letdown, but still a fascinating listen. 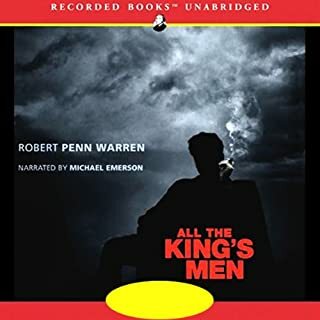 Michael Emerson’s narration is superb. There are many great lines here, and the comic tension between artist Psmith and the New York works pretty well. I wish the racism had been excised (easy to do). 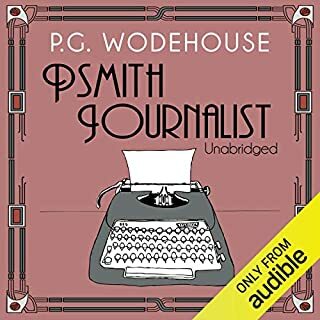 The least of the dozen or so Wodehouse works I've listened to or read. For fans only. I had the book and had trouble getting into it. Saunders apparently started this as a play, and for me that's how it works better. The panoply of voices convincingly creates an afterworld and its dozens of characters. I did need to refer back to the book to keep track of some of the characters, but overall the production is outstanding. 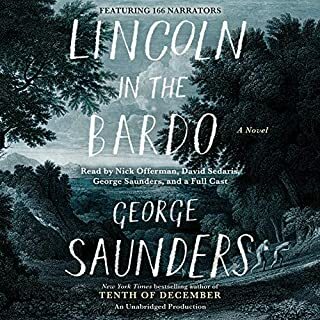 One of the best audiobooks I've ever heard. The symphony of voices is a great dramatic accomplishment - an aural equivalent of The Wire, if you will. I needed the book to help me get attuned to the different characters at first, but it was enthralling after that. I have high hopes for the upcoming TV miniseries, but it will be difficult to match the dynamics of this spoken-word masterpiece. If the alliteration in the headline bugs you, the overuse of alliteration in the text will equally annoy you. It's just one annoying element of a book I found overly cute, self-congratulatory and irrelevant. Towles provides Wodehousisn diction without much of Wodehouse's wit. The set-up is like a sitcom that has run too many seasons. 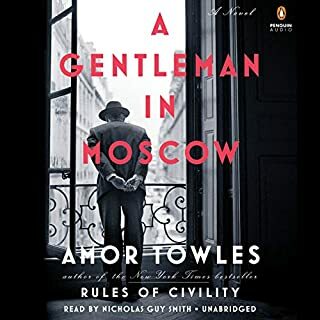 The plummy Jeeves-like narration is a big part of the problem: a Russian accent might have toned down the silliness. And way too long. A waste of 18 hours.